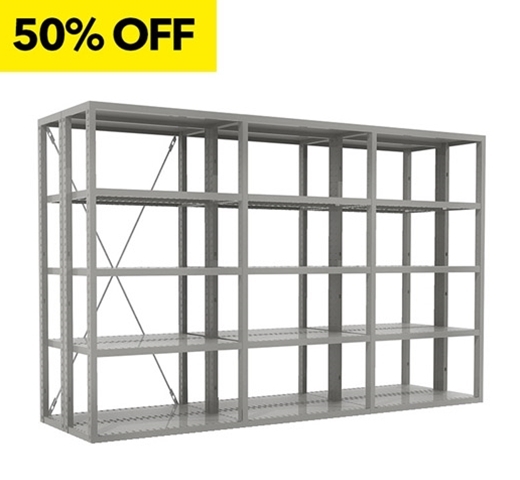 84"H x 36"W x 18"D R4000 Extra Heavy Duty Shelving Kit 3 Double Deep Units - 30 Shelves. 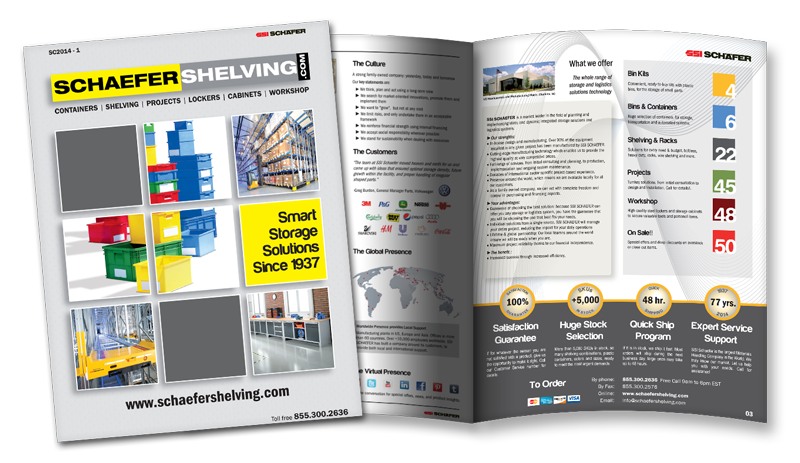 R4000 Extra-Heavy Duty Schaefer Shelving 3 Units provide excellent flexibility for future expansion and modifications. Built with 20 gauge steel parts, the box post construction reaches 7,500 lbs of loading capacity per unit. This is a quite unique system to the market, with no nuts, bolts or even tools required for the assembly; shelves simply slide and fit onto pre-punched lugs in the posts, which also allows for simple and quick re-arranged of levels. Shelves can load up to 600lbs thanks to the special box reinforced design and can be adjusted to tilt up to 12 degrees without any additional clips. Starter Kits include 1 base shelf, 1 top shelf, 4 corner posts, 2 center posts, center shelves not included . Average installation time is 2 minutes per unit with no previous experience. All sizes available in stock, ready to ship for fast and quality service.